The blog of the Sherlock Holmes Society of India, a community formed by Sherlock Holmes enthusiasts - brought together by our mutual admiration for the great detective, and unhindered by geography. The game is afoot. Thanks to the author, C. Michael Forsyth, I had a chance to read this very, very interesting book. And I have to say, I am quite impressed. The book is thoroughly well-researched and cleverly written. As the title suggests, it follows the thrilling adventure of Sir Arthur and Houdini as they embark on a mission to America to solve a seemingly supernatural mystery. Sir Arthur is in his spiritualism days, and Houdini is determined to be grounded in reality. The portrayal of both protagonists (as well the supporting characters – though I will not get into details about them; no spoilers!) and the dynamics of their interaction is highly enjoyable – the easy camaraderie of their friendship, the friction of their heated arguments, the (occasional) self-righteousness on both sides…all of it is meticulously planned and executed by the author. The author’s attention to details is commendable – I can only imagine the amount of work it would have taken! "Doctor Stratton, I am of course flattered that you'd seek me out," said the author. "But as I'm sure you are aware, I am not Sherlock Holmes nor do I have a means of contacting him, much to the disappointment of the many female admirers who've asked me to forward correspondence." Conan Doyle flung open the door and in strode a tall, rail-thin man in a long gray cape and deerstalker hat, grinning broadly. The hawk-like nose, the piercing black eyes darting about and assessing the room—there was no mistaking who stood before them. "Sherlock Holmes! Well, this is a welcome surprise," Conan Doyle shouted in delight. "My son returns to me. A prodigal one but a sight for sore eyes nonetheless." The famous man took off his cap and tossed it onto a rack by the door. "Yes, but you haven't been half as sporting to me as the fellow in the Bible, have you? As I recall, you tossed me off a waterfall once." "Yet you're none the worse for wear," Conan Doyle chuckled genially and gave the other's hand a robust shake. "I fear it was you or me. If I hadn't bumped you off, I'd have taken a spoonful of strychnine myself to preserve my sanity." Houdini smiled. "Thanks for the compliment, but I think long after the world has forgotten Houdini, your Sherlock Holmes will be around and kicking." Isn’t that intriguing? Doesn't it make you itch to get hold of the book? All in all, a most enjoyable read – and if you are fond of Sir Arthur Conan Doyle and Harry Houdini – kindly proceed to the bookshops and get hold of the book immediately! You are in for a treat! SHERLOCK: Oh, excellent news – the best. Good news for Sherlockians! A dedicated Sherlock Holmes online bookstore! Can you imagine? A bookstore filled with nothing but Sherlock Holmes! How much better can it get? The physical library is on Baker Street, of course, where else? Watsons Lounge at the Park Plaza Sherlock Holmes, 108 Baker Street – yes, I’ve been there, and it’s fantastic. People behind this? MX is a BIG player, as usual! In partnership with MX Publishing, one of the main publishers of Sherlock Holmes books in the UK, the Park Plaza Sherlock Holmes Hotel now provides a one stop shop for Holmes fans to get their fix of the written Sherlock-related word. A further partnership, with the National Literacy Trust, means that those purchasing items from the bookshop are also helping to raise literacy among the UK's most disadvantaged communities, with 10% of all proceeds generated from the bookstore going to the charity. The Watson’s Lounge online Bookshop offers a unique collection of Sherlock Holmes material including short stories, biographies, Sherlock Holmes themed travel guides and even children’s books, in addition to the more traditional novels recounting the adventures of the infamous detective. A lot more than just a bookshop, visitors to the site will also benefit from special offers, pre-releases and signed first editions and will also find free samples of books, reviews, author interviews, exclusive events and much more. Park Plaza Sherlock Holmes is a four-star boutique hotel in the heart of London. Located on Baker Street, the hotel is near to popular destinations such as Madame Tussauds and the Sherlock Holmes Museum. Marylebone High Street and Oxford Street, some of the best shopping locations in the Capital, are just a few minutes’ walk. 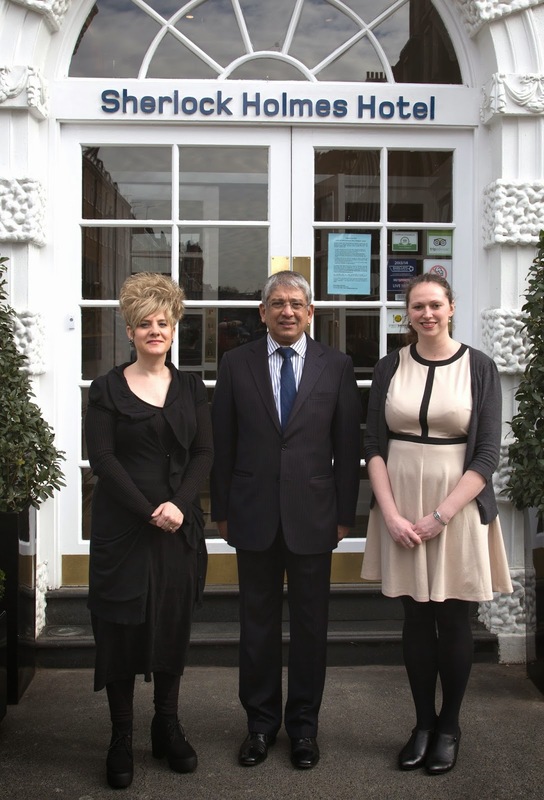 This is the first interview for this project – and we are certainly bringing out the big guns! Thanks to Steve and Timi at MX Publishing, the links for each of the books are available at the end of the interview. If you’d rather read the books before the interview, just skip to the end and order your own copy! Oh, yes, the interview is spoiler-free. Also, if you happen to be in Altanta for the 221B Con next month – Amy will be there in person, and wouldn’t say no to autographing her books! You can also follow Amy on Twitter (@Pickwick12), look up her website (www.girlmeetssherlock.wordpress.com) and the Facebook page for The Detective and the Woman. 1. Three brilliant Holmesian books to your name – how does it feel? First of all, thank you for the word “brilliant” in there! I’m delighted when readers enjoy the books. That’s what keeps me going as a writer. It’s not just about creating something that pleases me; the cycle is completed when others share the experience. I’m still trying to figure out how it feels! It’s certainly amazing, and it never really stops being surreal. A few years ago, I was looking at the manuscript for my first book, The Detective and The Woman, and hoping it might find a publication home years in the future. A whirlwind two and a half years have passed, and somehow I have three books with my name on them that are in the hands of readers all over the world. That is one of the greatest joys of my life so far. 2. What inspired “The Detective and the Woman” series? After the BBC’s Sherlock show aired its first series, I was inspired to go back and reread the original Sherlock Holmes stories by Sir Arthur Conan Doyle, which I hadn’t done, other than picking up a story here and there, since I was a child. At that point, I was really taken with their depth of characterization and humour, two things I hadn’t really caught when I was very young. The mysteries had stayed with me, but the added layers of depth that I recognized as an adult reader are what inspired me to pen my own book. Specifically, the character of Irene Adler and how her personality and Holmes’s interact, reveal, and conflict with one another set my mind whirring toward new stories and a further trajectory for the two of them. “A Scandal in Bohemia,” the one story that features Irene as a character, is a truly remarkable piece of literature. Beyond that, Watson as narrator tells us, in the famous opening quote, that this particular woman is forever The Woman to Sherlock Holmes. Exactly what that means for the character of Holmes is a captivating question, and I was inspired to craft my own answer to it. Another massive inspiration to me as a writer and as a Sherlockian is the Mary Russell series by Laurie R. King, which completely pulverizes the boundaries of what Sherlock Holmes stories can be. My stories are derived from Doyle’s writing, not King’s, but she was the first pastiche writer I ever read, and she opened my eyes to the world of Sherlock Holmes stories still being written. 3. So…you met Sherlock when you were ten, and you were…terrified? When/how did you actually become fond of him? Good question! Even though I was chilled to the bone by an audiobook rendition of “The Speckled Band,” I kept going with the stories. By the time I reached “The Final Problem” a short time later, I was attached enough to the characters to be heartbroken, particularly on Dr. Watson’s behalf. I remember taking a road trip with my family and talking to my older sister about it, who whispered conspiratorially that Holmes lived on and more stories existed, which was very exciting. After that initial introduction to the detective, which was fairly extensive, I didn’t embark on a systematic rereading of the Doyle canon until I became an adult, as I mentioned above. 4. When did you meet Irene Adler? Your portrayal of the Woman rings remarkably true to the glimpse of the character we are shown in “A Scandal in Bohemia”. How did you build your Irene? I certainly met and knew of Irene when I was a child. 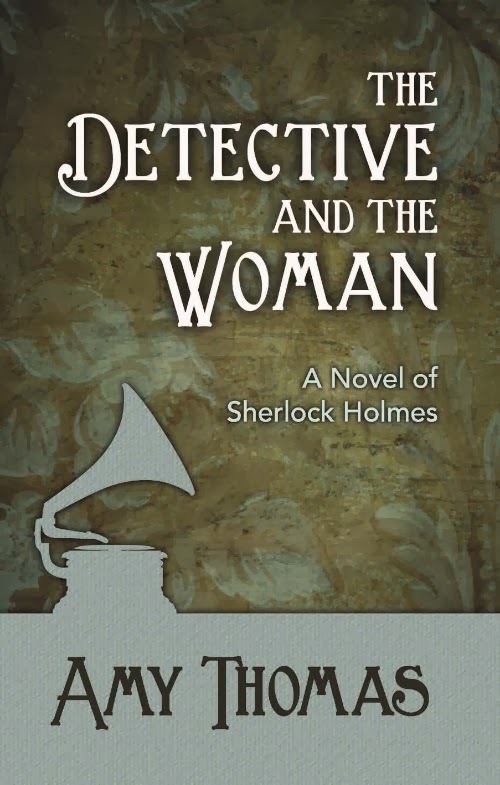 She’s an iconic figure in the Holmes world, but also in Western culture. Most people who adapt Holmes for the stage or screen cannot bear to leave her out. Much like Holmes’s brother Mycroft, she’s a character who appears relatively little in canon, but is so captivating that her shadow looms over all the stories. That said, I didn’t really become fascinated with The Woman until my fateful rereading of “A Scandal in Bohemia” in 2010. At that point, I saw a character who does something few canon characters manage to accomplish—she not only fools Sherlock Holmes, but she also changes his opinion of her. He starts with a very one-sided view of her as a dishonourable person who is the adversary of his client, but he ends up finding her the more honourable of the two. I found that what stood out to me about Irene was her intellect. She’s often portrayed in an extremely overtly sexualized way, but that’s not really who we meet in Doyle’s story. We meet someone who doesn’t quite fit into the gender roles of her time, but whose weapon of choice throughout her encounter with Holmes is her wit. I found that I liked her very much and wanted to continue her story in her own voice. 5. Most of us tend to think of Sherlock Holmes as an aromantic demigod of cerebral superiority (“I am a brain, Watson. The rest of me is a mere appendix.”). You have, however, shed a different light on him but not strayed from his canonical characteristics. How would you categorise your Holmes? Do you think he is very different from how Sir Arthur penned him? Holmes is a fascinating character, because there seem to be as many interpretations of him as there are Sherlockians. I’m reminded of Shakespearean characters like Hamlet, who are constantly reinvented and portrayed in different ways without straying from the source material. The man I write about is the man who leaps off the page when I read Doyle’s stories. Without going too far into theories of personality, Holmes has been typified by psychological researches as having a personality similar to mine. I don’t find him difficult to understand or to relate to as a character. I often appear calm to the point of emotionlessness to people around me, but I always have an undercurrent of strong feeling that I rarely reveal, which is how I see Sherlock Holmes. When it comes to Holmes or Watson characterizing the detective as heartless, I believe his actions show them both to be unreliable narrators. In particular, the story “The Three Garridebs” includes a scene in which Watson finally sees that Holmes has a “great heart” in addition to his intellect. Part of Doyle’s genius is that he gives his characters flaws of self-perception, a quality that makes them so very human. Many stories show flashes of Holmes’s compassion and gentleness, qualities that he might not always like to admit he possesses, but that make him more than just a smart detective. As Inspector Lestrade famously says in the BBC series, Sherlock isn’t just a great man; he has the potential to be a good one as well, and in my view, he matures into that through Doyle’s stories. 6. Sherlock-Irene dalliances are not very rare – and range from downright weird to well-executed. Most have a touch of unreality about them. Astonishingly, your Holmes and Irene appear original. How do you manage that balance? That is, perhaps, the best compliment I have ever received. I would like to think the balance comes from the fact that I imagine both of them as real people, with realistic personalities, motivations, and past experiences that influence their views of life. That seems very simple, but I believe there’s a tendency, when you’re working with very iconic and well-loved characters, to fall into the trap of using familiar tropes and past interpretations in a very lazy way. Readers know who Holmes and Adler are; why work to make them three dimensional? That question is exactly why I’ve written three books about the detective and The Woman and plan to write more. The answer is that Doyle gave us a beginning, a small window into these characters without a lot of detail about their mental processes or past lives. That doesn’t mean, however, that they don’t have them! Some authors write amazing stories that are directly imitative of Doyle, but that’s not my intention at all. What I seek to do is to explain who Sherlock Holmes and Irene Adler actually are, as their internal personalities and flaws illuminate one another against a backdrop of mystery. 7. Who is your favourite Sherlock Holmes? And your favourite Irene Adler? Favourite canonical story and favourite pastiche? I enjoy many Holmes portrayals for different reasons. 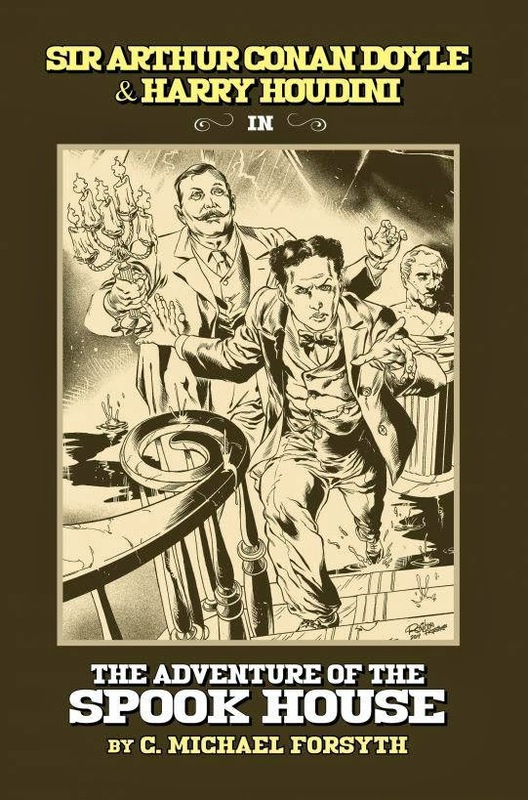 Jeremy Brett’s classic homage draws beautiful attention to the original source; Basil Rathbone draws the viewer into the adventure elements; Robert Downey Jr brings out elements of humour and wit that are missing from many adaptations; and Benedict Cumberbatch’s vitality and wisdom bring out the detective’s almost superhuman brilliance. I have yet to find my perfect Adler, but I enjoyed Anna Chancellor in the role in a little-seen film called Sherlock Holmes and the Baker Street Irregulars. As a Holmes adaptation, I wouldn’t recommend it, but it made me want to see Anna portray the character in a more quality context. My favourite canonical story is “The Copper Beeches.” It’s a classic example of Doyle’s style, complete with a bizarre and somewhat gothic mystery, a resourceful female client, and an unexpectedly simple solution. As a book reviewer for the Baker Street Babes, I read a lot of pastiches, and I have encountered many that I enjoyed. My favourite is still one of the first I ever read, the second book in Laurie R. King’s Mary Russell series, titled A Monstrous Regiment of Women. It’s a wonderful pastiche, an engaging mystery, and a beautiful character piece. 8. Dr Watson wrote Sherlock Holmes is chivalrous yet misogynistic. Would you agree? There is at least one woman he clearly doesn’t hate…but is that an exception that proves the rule? This is certainly a hotly-debated issue, but I would call Holmes more distrustful of women than misogynistic. For one thing, in The Sign of Four, he laments to Watson that Mary Morstan (whom Watson marries) could have had potential as a detective. He obviously respects her mind and has no antipathy toward her. Generally, throughout the stories, Holmes is driven to know and to understand. He becomes frustrated when he’s thwarted in his attempts to solve something. His mentality toward the world is that understanding brings security. What bothers him about women is that he can’t quantify them. His so-called misogyny is actually an expression of the fact that women’s minds and motives are elusive to him, always just beyond his grasp. For a man who values understanding and quantifying the world above everything else, that is almost intolerable. Women are living representations, for Holmes, of the fact that there will always be things in the world that he cannot logically grasp. 9. Sherlock Holmes has claimed “I have never loved” (The Adventure of the Devil’s Foot) – what do you say to that? How does Sherlock perceive his bond with Irene? Is it different from how Irene sees it? As I indicated above, Holmes isn’t the most reliable of narrators about himself. His actions in the Doyle stories prove that he clearly cares deeply about several people. Additionally, Watson himself tells us that he sometimes lies on purpose in his tales, to obscure details he doesn’t want the public to know about. That is the context in which my stories live. At the point where I currently am in my series, Holmes and Adler both perceive themselves to be friends and associates of one another, who can appreciate each other’s minds on a level that few others are able to reach. 10. How would you describe the relationship between Sherlock and Irene? What do they mean to each other? Sherlock and Irene have a relationship based on mutual respect for one another’s complex and gifted minds. They are not the same; their flaws are in different areas, as are their talents. For two people so intelligent, one of the rarest and most prized things in life would be finding another person who can engage with them on their own intellectual level, and that is what they give one another. 11. You write from the viewpoint of both Holmes and Irene – though Holmes in third person and Irene in the first. Why the difference? Which is easier to write? How do you decide to split things between them – for example, you gave the bees to Irene but let Sherlock keep Tibet and Baker Street? When I started writing my first book, Irene’s voice came naturally to me in first person. Doyle’s characterization of her, though spare, spoke so loudly to me that I felt immediately comfortable writing from her direct stream of consciousness. That has never been the case for Holmes. Doyle’s characterization of his hero is rich, complex, and sometimes contradictory. I feel a great deal of affinity for the detective, but I have never felt comfortable writing in his direct voice. I find that the slight remove of third person suits him better. Generally, I find them about equally challenging to write, though the fact that Holmes is a much more fleshed-out character in the canon means that I have to be more careful to make sure he has continuity with the source material. In terms of splitting things between them, the original act of Holmes offering his property to Adler (in my first book) was conceived as a pure act of kindness. I saw it as the kind of gesture someone like Holmes wouldn’t think twice about making, even though he’d be very unlikely to verbalize his feelings or reasons for doing so. The bees followed naturally, since Doyle made them part of Holmes’s life on the Downs. The only change is that Irene introduces the idea to the detective, which made sense to me because beekeeping appeals to her need for order and occupation. It’s a bit cheeky on my part, and I absolutely love it. Beyond that, all the traditional canonical things belong to Holmes. Adler’s world is my creation. 12. The second and third books have canonical quotes for chapters – how do you choose these? Do you find a quote that suits your chapter or do you choose a quote and write a chapter around it – or some blend of the two? The quotes always come after the chapters are written. I spend time combing the stories for moments that fit with the context. Doyle is an extremely quotable writer, and I often find myself gaining new appreciation for the amount of meaning he was able to contain in single phrases and sentences. The Baker Street Babes is an international, all-female podcast that is Holmes themed. We cover all kinds of topics related to the stories and adaptations. Our group is extremely diverse, not only in nationality, but also in our places within the Sherlockian world. Some of us are die-hard Doyle fans; others prefer the BBC series or another particular adaptation. We’ve had a chance to interview many guests, including several who are involved with the BBC series. We were featured on the NBC coverage of the London Olympic Games, and we have the privilege of meeting other Holmes enthusiasts at events throughout the year, such as 221b Con, Dashcon, and San Diego Comic Con. 14. And I just can’t resist this since we are talking of Sherlock’s love-life…what do you think of the “Johnlock” phenomenon that has taken the internet by storm? Sherlock Holmes and John Watson have captivated audiences ever since their very first introduction, and each era brings its own mores and preferences to the table. To echo what I said above regarding Hamlet and Shakespeare, some literary works are particularly timeless because they are constantly reinvented by new generations and evaluated in different ways, yet they always manage to seem new. As long as the world endures, I believe generations of fans will continue to put their own interpretive spin on Holmes and Watson, just as they do with other literary icons like MacBeth and Dr. Faustus. 15. Last and most importantly – what next for Sherlock and Irene? Book four has begun to take shape in my mind and as notes on a page. The next story will reveal to both Holmes and Adler new facets of familiar people that they haven’t experienced before. As always, it will use gripping mystery as the stage on which two of literature’s most exciting characters perform for one another and for the reader. I hope you’ll be along for the ride. Oh yes, I’m most definitely in for the ride! Anyhow, that concludes the interview – and I have to thank Amy for being such a good sport! And, of course, a round of applause for Steve Emecz, for this entire project, and putting me in touch with Amy and another round for Timi Emecz, for the painstakingly compiled links below to Amy’s books as well as the cover images. The Detective and the Woman is available from all good bookstores worldwide including in the USA Amazon, Barnes and Noble, in the UK Amazon and Waterstones. For elsewhere Book Depository offer free delivery worldwide. In ebook format it is in Amazon Kindle, iTunes (iPad/iPhone) and Kobo, and it is available in Audible Audio Edition. 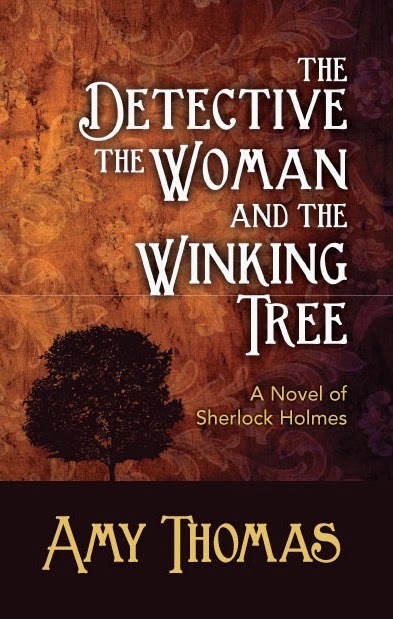 The Detective the Woman and the Winking Tree is available from all good bookstores including in the USA Amazon, Barnes and Noble, in the UK Amazon, Waterstones, and for everywhere else Book Depository who offer free worldwide delivery. In ebook format there is Kindle, iPad, Kobo and Nook. 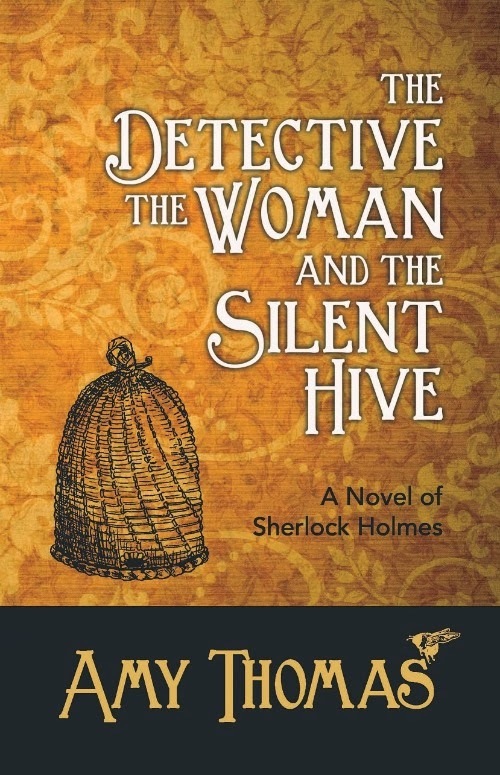 The Detective The Woman and The Silent Hive is available from all good bookstores including Amazon USA, Amazon UK, Waterstones UK, and for free shipping worldwide Book Depository. In ebook format it is in Amazon Kindle. Baker Street Elementary – Raid!